My partner Kim Leng and I titled our book – Leading Change that Matters. Our reason for the title was not because it might be considered clever, but because the phrase could mean different things to different people. What does the phrase mean to you personally? OR How would you describe “change that matters” to someone else? I describe Change That Matters as an action or actions that have a lasting impact on the organization and/or the lives the organization touches. Change that matters, to me is addition, a shift, not a replacement. Recently I changed my web site to make it mobile capable–able to display in smart phones and tablets. That change is important for now but more importantly for the future. When radio was introduced the death of newspapers was heralded. They are still with us, but changed. When TV became available it was thought that radio would die. It is still with us, but different. The internet was said to be the thing that would change all media, It continues to do so, but it is not a replacement. Rather, it is generating even more choices. Each time in the world of media there was a change that matters. The change was additive. The old media was maintained but morphed. In order to be successful in today’s world you have to approach these actions with an open mind knowing that the process and approach can be essentially the same but that the outcome you are seeking is change that matters. The analogy with the media morphing holds true. Technology once available only to the Goliaths of business is now in the hands of Davids. That is just one of the ways marketing is transforming. It is a change that matters to the “Little Guys” but it is an addition, a shift, not a replacement. Perhaps that French saying should change (in my garbled tongue) to something like: “Le plus ca change, le plus de choix. A truly interesting and relevant spin on defining change that matters. It reminds me of the expression that you can’t turn a boat around all at once and, if you could, it wouldn’t stay turned. Thanks for jump-starting what I am sure will be some lively dialogue about the nature of change. Here is my take. Change is the one thing that is constant and there are all kinds — change in your personal life, your family, your work, your society, where it gets larger and more convoluted. Many are changes you take in naturally. Then there is change happening that you know you need to take charge of and lead. You can’t leave it to chance, and you can’t let circumstances control change. These are the changes that matter. It matters to you, because the unplanned or ungoverned outcome is neither right nor desirable. Therefore you need to step up front and lead that change. Consider today’s GPS for road navigation. Even as state of the art technology, the device can only give you directions and road conditions. But you still have a choice to steer the vehicle. You can choose to follow GPS or head your own way. At this point it will say — “recalculating”. That for me is leading change that matters. Perhaps because some change matters, and some doesn’t matter at all. Wow, Eugene, great analogy for change that matters as the choice between using GPS or charting one’s own path. 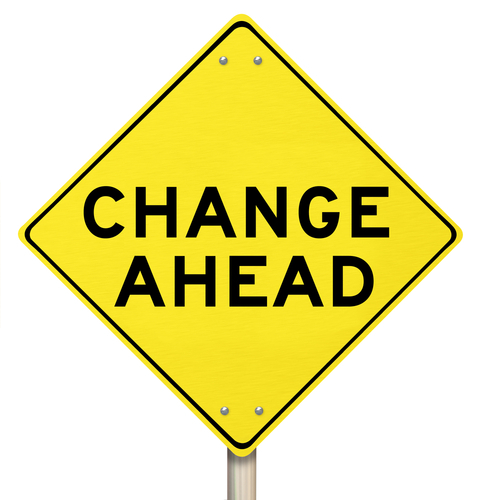 If we simply follow the basic formula for managing change, the GPS reminds us that we have “arrived at our destination”, but, guaranteed, it won’t be the one that offers change that matters. As the driver, our brains are constantly re-calculating, then taking in information real time, which is probably the reason a lot of us talk back to our GPS. Raise your hand if that happens to you! If we take that challenging road trip in stages, and if we have passengers who will be key players in high priority change that matters, we will arrive at our optimal destination with a team ready to begin the change process. First of all, it’s critical to distinguish change that matters, from change that doesn’t. Rearranging the deck chairs on the Titanic? Not so much. Rolling the clock back, Eugene, I remember the first time I rented a car that had a GPS after-market thingy (it was attached to a stiff cable bolted to the floor, where a stick shift could have been). Driving my 80+ year old Dad out to dinner, I was bragging on it—-for him, it was a BIG change, and he wasn’t sure he liked it. He bet me (literally – a Baltimore blue crab dinner) that if I purposely made a wrong turn, it would get confused and couldn’t find “its” way back to his house. That Chesapeake Bay blue crab dinner was soooo awesome. Since then, the upgrades have provided more devices (stand-alone to smartphone) and more features (I like the red-yellow-green road colorations, indicating real-time traffic levels, and the “Make a LEGAL U-turn” advice in Australian English); but they aren’t the changes that matter. What matters was the initial disruption—a technology that changed our choices for how we way-find. Big map that never folds up right again? Or a non-judgmental little device that now does everything except make an iced latte. Learning technologies are changing the way we educate our children and ourselves. For example, location-based learning is the love-child of location-based services (LBS) and mobile learning—-it’s just-in-time learning, in situ. It brings learning out of the classroom (the box) out to anywhere you are with your mobile device—-in a museum reading more information than fits on a little card or in the field examining bugs on the forest floor. It has changed learning by expanding the opportunities for learning—and that matters. Disruptive change. That to me is the most powerful kind, and most people are not ready to embrace it. Disruptive change can lead to an entirely new environment, a new way of doing things and letting go of familiar practices. When properly understood and internalized, it starts a transformation of people and organization to improve and excel. But if disruptive change is mishandled, it can slow down progress, and even stop the development of an entire generation. Just like in the Dark Ages. Ohhh, Nancy, I love this question!!! To me “change that matters” is a concept for optimists and visionaries. Thinkers and builders. Dreamers and explorers. All those that are not afraid to be called the crazy ones because they are willing to walk the extra mile to push the boundaries of the possible. Change that matters or positive change (another way that I also like to express this idea) is only for people that cares about other people. That simple. From my point of view, it’s a conciliatory and inclusive term conceived for those that not only know that don’t know enough, but that also need to know more and more. I wish to emphasize this inclusiveness because it brings harmony to the process when we need to adapt our thinking, and usually, our doing as well. In a way, when we express this concept of change that matters we give confidence to those that wrongly associate change to something negative (chaos, revolution, uncertainty, insecurity, indecision, hesitation, doubt, indecision…). This change is about fix, improve and expand things. Thank you for bringing this up Nancy! This is an important question that Nancy has put forth and I am glad we made that decision to use it in our book title. To me “Change that Matters” is not an external event that thrust upon us. It is a major shift in the way we respond to such event that truly define the change we need to make or a new perspective to take. When the young Isaac Newton saw an apple fell from the tree, he did not dismiss it as an ordinary event like millions of people did before him. By asking why and probing into the nature of such event that everyone took for granted, he discovered the laws of gravity that not only revolutionized the scientific world but also brought about modern flight and space travel to mankind. Such change can only happen if we keep our minds and our hearts open. And more importantly, how we respond to create lasting positive impact to the people around us. The question for ourselves is therefore – Have I made a difference for others? This is my take on the “Change that Matters”. Kim Leng, your post reminds me of the dozens of skype calls we exchanged as we crafted the book. As you pointed out in this post– Change that Matters only happens when the intellect and the emotions work together. That’s what makes life meaningful to each of us and, in turn, our lives meaningful to others. Thank you for sharing the journey! 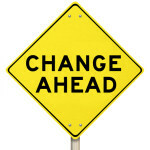 Change that matters is for me the type of change which is meaningful and embraced by people going through the change. It is about leading a type of change which can be sustained over time. I cannot reflect on change that matters without having this question rise to the surface: “Change that matters…to whom? This exemplifies a key challenge faced in leading change initiatives. The answer to this question, represents for me, a key component of successful implementation of change initiatives. A change in an organization, in the way people are used to doing their work, for example, need to matter to the people undergoing the change. This is for me the only way to be able to achieve sustainable change. Sadly, often enough, people who are at the heart of change, are not involved enough and do not feel like it matters to them. I hear of people undergoing change regularly talking of it as an external event, as something which matters little to them and which are forced upon them by their bosses or by management decisions which they understand little of. Therefore for me leading change that matters is about making it matter to those people living the change. What a powerful way to wrap up this robust conversation! It is absolutely true that leading change is easier for those who are often least impacted by the change. Your observation that the bottom line is “making it matter to those people living the change” is spot on. This is a mantra we all need to embed in both our limbic and frontal brains. It gets at the heart of being people-centric!